Home » The County » Dr. T. C. Lovelace. In the 1930s and earlier, my grandparents, Ben and Florence Bailey, lived on a tenant farm about two miles north of Trinity Church, and a couple of miles from Mooresboro. Their house, with its gingerbread frills, dated from the 1870’s or so. A little way up the road, on the same farm, in a tiny, unpainted frame structure, little more than a shack, lived my parents, Byron and Ruby Bailey. 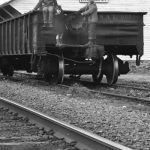 Poor as dirt, they grew a little cotton and Daddy worked in Cliffside Mill, when it ran. The landlord was Alfred Monroe Lovelace, the father of Dr. T. C. The elder Lovelace was a very prominent man from Mooresboro. He was an old man by the time I became aware of him (I was only eight or so). He was an attentive landlord, who would drive over to Grandpa’s every now and then to check on things. 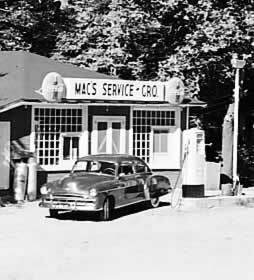 In the early ’40s, no doubt at great expense, he had Grandpa’s big 60-year-old house repainted. 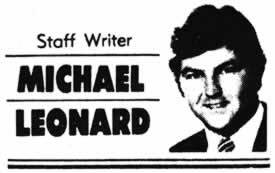 Mr. Lovelace was known to all simply as “Monroe” (but addressed as Mr. Lovelace), but somehow my parents had known his first name was Alfred, for they had given that name to me. Monroe was, among other things, a surveyor, according to Jim Ruppe, who has researched the Lovelace family. 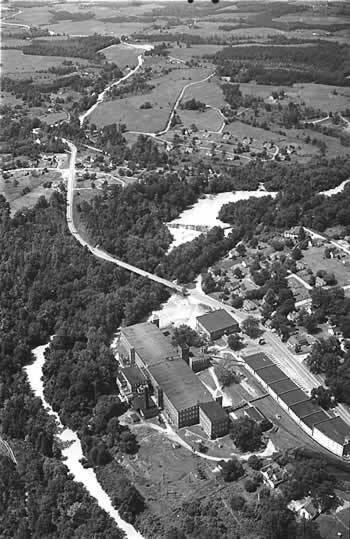 Upon Raleigh Haynes’ death, Lovelace was engaged, by the family or the Cliffside Mills company, to survey Mr. Haynes considerable land holdings. 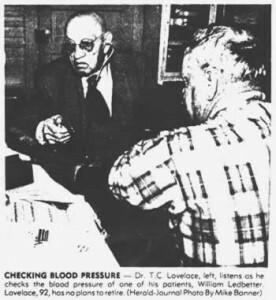 Dr. T. C. Lovelace, along with Dr. G.O. Moss, provided lower Rutherford with medical care for many years. Undoubtedly Dr. T.C. was mistaken by many as the son of Dr. T.B. (Thomas Beaty) Lovelace, a Rutherford County physician of an earlier generation. T.B., the brother of Alfred Monroe, was T.C.’s uncle. 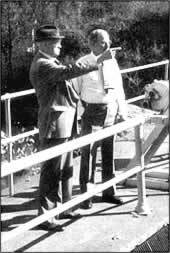 One day in his later years, Dr. T. C. visited Cliffside Mill, where many of his former patients had worked. General Manager Bill Masters took him out on the dam where the doctor pointed out some landmark he remembered from years ago. 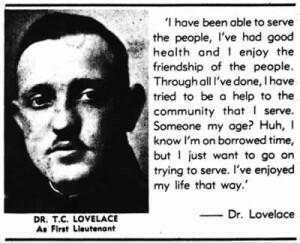 Dr. Lovelace, born on Oct. 28, 1889, lived until Sep. 3, 1990, just short of his 101st birthday. A version of this article appeared in the Fall 2012 issue of The Cliffside Chimes, the society’s quarterly newsletter. You would think that someone who will be 92 years old Wednesday is be ready for retirement. Dash those thoughts from your head, says Henrietta, N.C.,’s Dr. T.C. Lovelace. There are good days ahead. “I think I’ll live longer by working,” Lovelace says. “Those who don’t work, who over-eat, get no exercise and smoke or drink coffee don’t live as long. I think a fellow who retires doesn’t last as long either. He needs a hobby of some kind. Small wonder it is that Lovelace hasn’t had time to develop hobbies. He has been practicing medicine full time since graduating from the Medical College of Virginia in 1917. His office hours in Henrietta were Monday through Saturday and Sunday afternoons for years, and even now he is seeing patients six days a week. Lovelace has been a mill doctor, country doctor, community doctor and a doctor of general medicine. You could add the title baby doctor, for although he isn’t a “specialist” in the field, his hands brought 5,000 infants into the world between 1917 and 1969. And that’s pretty special. Lovelace got his triplets’ delivery by chance. Another doctor had been caring for the expectant mother but he couldn’t be found when she started labor. The family knew Dr. Lovelace, so he was called. Counted among the children he has delivered are men and women in just about any occupation you’d care to name. Some of the 36 school teachers in the Dr. Lovelace baby category compiled a list, representative though incomplete. On their list of the Lovelace brood are six men of the cloth, one FBI man and one sheriff (Damon Huskey of Rutherford County), one mortician and one lawyer, three druggists, four dentists and three physicians, four career military officers and 22 nurses. He quit delivering babies in 1969 because of the physical strain. Lovelace says about two-thirds of his deliveries have been made in the home. In the early years of his practice, he had to argue with patients to get them into a hospital. Now just about everyone goes to the emergency room for all kinds of reasons, whether they need to or not, because insurance will cover the visit, he says. “People were poorer then, when I was a young doctor. In the Depression, they couldn’t afford to pay me right away, and a lot of times I never got anything. “One man said he wanted to name his next child after me because I had delivered so many children into his family. So he gave me $2 ( the delivery fee was $20) and named a child after me. He was kind of like the fellow who told me he had a new baby and a new calf in his house every summer,” he says with a laugh. Doctoring in the small town is more than delivering babies. It involves treating diseases, breaks and bruises, nervous disorders and various other maladies. It is fitting that T.C. Lovelace decided a career in medicine was for him when he was a 20-year-old in the hospital for an appendectomy. An interest in medicine ran through Lovelace’s family. He grew up on a farm in Mooresboro in neighboring Cleveland County as the middle child among seven. His father was a surveyor who was attracted to medicine but never made it a career. Two uncles were doctors. Lovelace wanted to go to the University of North Carolina medical school, but acceded to his mother’s objections that the school was too “dangerous.” A fraternity pledge had lost his life in a prank the year before, he says. So Lovelace went to the Medical College of North Carolina in Charlotte. The school closed after his first year there. All the students were transferred to the Medical College of Virginia. Lovelace finished there in 1917. The newly graduated physician went to Telfair Hospital in Savannah, Ga., for one year before joining the World War I effort as an engineer battalion surgeon. He went to France in the fall of 1918 and war was over on Nov. 11 that year. “But it took us until June the next year to get home because the German submarines had sunk so many of our ships,” he says. Dr. Lovelace came back to the United States, but not home. He did postgraduate work at a New York City hospital for six months before beginning his job as mill doctor for Henrietta Mills in December 1919. As you might expect, Lovelace has seen changes galore during his 64 years of medical practice. 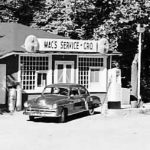 “When I was starting out, there was a lot of smallpox, typhoid fever, diphtheria, whooping cough and measles and even an epidemic of polio to treat. Now we have vaccines for these. Being a doctor costs more in the initial cash outlay today than it did years ago. Medical equipment is more expensive and malpractice insurance, a seldom-heard-of business expense when Lovelace was young, has also raised the cost of doing business. Another change Lovelace notices is the migration of doctors to hospital practice instead of setting up an office. Medical advances have brought specialists in every conceivable field. Lovelace has a full patient load in his workweek — Monday, Tuesday, Thursday and Friday, 9-5, and Wednesday and Saturday, 9-noon — so he can afford to pick the cases he wants and can help. He refers many patients to other doctors and specialists. He has had no vacation of more than three weeks, though he squeezed Europe and a United States tour into 21 days in separate years. And even at his advanced age, he does well to get in two weeks off from work per year. Ready for retirement? Shucks. That would take all the fun out of it. Copyright © The Spartanburg Herald. Reprinted with permission. Clipping provided by Anne Cargill. Mrs. Rebecca McAdoo-Blakely (a.k.a. Mrs. Beck) is the daughter of the late Alec McAdoo and Alice Padgett. She was brought into life on September 27, 1901 and praecedere [sic] February 20, 2001. Mrs. Rebecca McAdoo-Blakely married Roscoe Blakely May 1, 1921 and they parented one daughter Virginia Blakely-Dewberry. Mrs. Blakely’s “McAdoo” ancestry expands to the early Matriarch Viola L. McAdoo-Padgett (1853-1929) and Patriarch Emanuel Padgett. As Dr. Lovelace’s Medical Support Assistant, Mrs. Beck assisted with the birth of newborns. Mrs. Beck also assisted in prenatal care, labor, delivery, and postnatal. Today, there is still a large sector of the community that can express Mrs. Beck and Dr. Lovelace diligent and professional work in prenatal care, delivery of babies, and providing high quality comprehensive healthcare in the surrounding area’s of Cliffside, Caroleen, Mooresboro, Ellenboro, and Henrietta, North Carolina. Mrs. Beck was instrumental in crossing ethnic boundaries and bridging the gap between the African American Community and the Caucasian Community while assisting Dr. Lovelace in his medical practice by fostering respect, communications, caring, and compassion between the ethnic communities. She served as a major resource for healthcare, education and disputes that benefited patients, their families, and the community. Mrs. Beck seized the opportunity to exemplify the medical mission by treating each person with the respect and dignity they deserve. In correlating Dr. Lovelace and Mrs. Lovelace’s mission and goals within the community, Mrs. Beck was individually responsible for the smooth running of the Lovelace’s residence, custodial, food preparations, relaying patient information and among other confidant[s]. Mrs. Blakely became a trusted member of New Zion Baptist Church at age 11 and was baptized by Reverend Rob Beatty in a creek near the church’s present location. Then, on a genealogy Web site, we discovered this Shelby Star obituary. HENRIETTA – Mrs. Rebecca McAdoo Blakely, 99, of 266 Proctor School Road, died Tuesday, Feb. 20, 2001, at her home. A native of Rutherford County, she was the daughter of the late Alec and Alice Padgett McAdoo. She was a housekeeper for Dr. T.C. Lovelace for 65 years. She was a member of New Zion Baptist Church in Henrietta where she was a Sunday school teacher for 40 years. In addition to her parents, she was preceded in death by her husband, Roscoe Blakely. The funeral will be Saturday at 2 p.m. at New Zion Baptist Church with the Rev. John Gaston officiating. Burial will be in the church cemetery. Squire Alfred Monroe Lovelace, 93, died Thursday Night at his home in Mooresboro following a brief serious illness. Funeral services were held at the Sandy Run Baptist Church, Mooresboro, Sunday at 4 p. m. with his pastor, Rev W. G. Camp in charge. One of the largest crowds to ever attend a funeral in Mooresboro paid their last respects to one of the oldest and most loved citizens of the section. The body laid in state 30 minutes prior to the funeral. Mr. Lovelace was the oldest member of the Sandy Run church. He served 17 years as church clerk. Mr. Lovelace was first married to Cordelia E. Hamrick of Boiling Springs who died May 10, 1887. His second marriage was to Anna Wilkins of Henrietta who died August 11, 1928. Mr. Lovelace was born Feb. 7, 1855. After attending the public schools of Cleveland county, he spent two years at Wake Forest college, leading his classes in mathematics and chemistry. For some years he was justice of the peace when they appointed road supervisors and allotted hands to work on roads. For 10 years he was a notary public. His most outstanding service was an surveyor, having been elected for years as county surveyor which position he creditably filled until he declined to serve further because of his age. 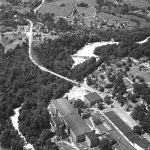 Aside from making many important surveys for privately owned land throughout this section, Mr. Lovelace established he county line between Cleveland and Gaston counties when by election, the citizens of Kings Mountain decided to have their city wholly within Cleveland. Surviving are the following children: V. B. and Wm. Monroe Lovelace of Mooresboro, Misses Daisy E. and Lilly G. Lovelace of Mooresboro, Dr. Thos. Claude Lovelace of Henrietta, Mrs. Chas. L. Daniel of Williamston, Mrs. Maude Burrus of Canton. Also surviving are two brothers, Dr. Thos. B. Lovelace, prominent physician of Forest City, Jonas A. Lovelace of Lattimore, two sisters, Mrs. Margaret S. McBrayer of Shelby, RFD, Mrs Docia Wall of Henrietta. Nine grandchildren and six great-grandchildren.